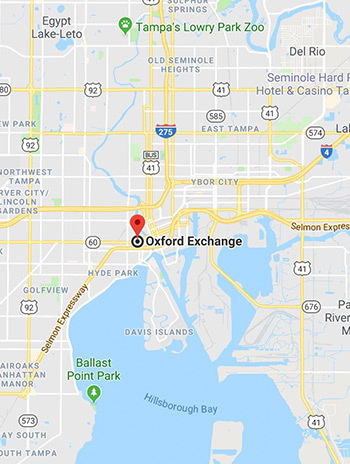 We begin at the Oxford Exchange in Tampa (see map below). Exact starting location is provided at the time of purchase. Evening/dinner tour and a fun-filled informative walk through Tampa. Guests will visit up to 5 tasting locations on each tour. Tasting locations may be changed without prior notice. We keep our tour sizes to an intimate 12 people. If you’re interested in a larger group or private tour for an event, visit our Custom Tours page. All details of the tour can be read in our FAQ section. You will also receive full tour details upon ticket purchase. The evening tour discovers downtown Tampa and the Riverfront via a 3-hour walking food & wine tour. 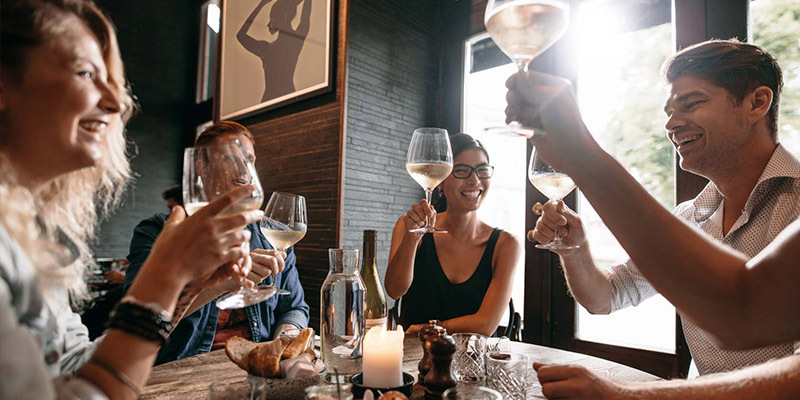 We visit 4 to 5 amazing restaurants who showcase their finest tastings and three feature a wine pairing. Tampa’s Downtown and Riverwalk is alive with energy, art and history. The Riverwalk “to go cup” is your ticket to sipping and strolling as we Eat. Drink. Local. 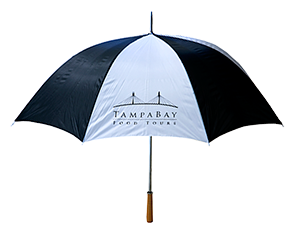 Our tour spotlights the beautiful backdrop of Tampa’s Riverwalk and the majestic Plant Hall at the University of Tampa. Cultural gems mingle with authentic history to create an atmosphere that provides the backdrop for our culinary adventure. The 1891 Tampa Bay Hotel, now a National Historic Landmark is key to the story of Tampa we love to share. 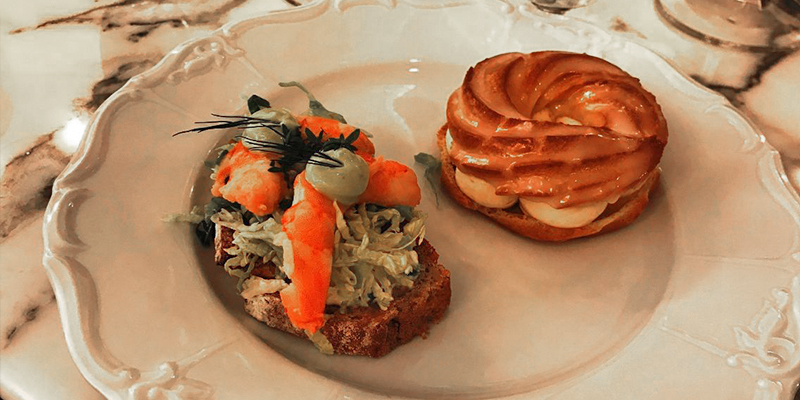 Tampa’s cuisine is just as unique and rich as its culture. 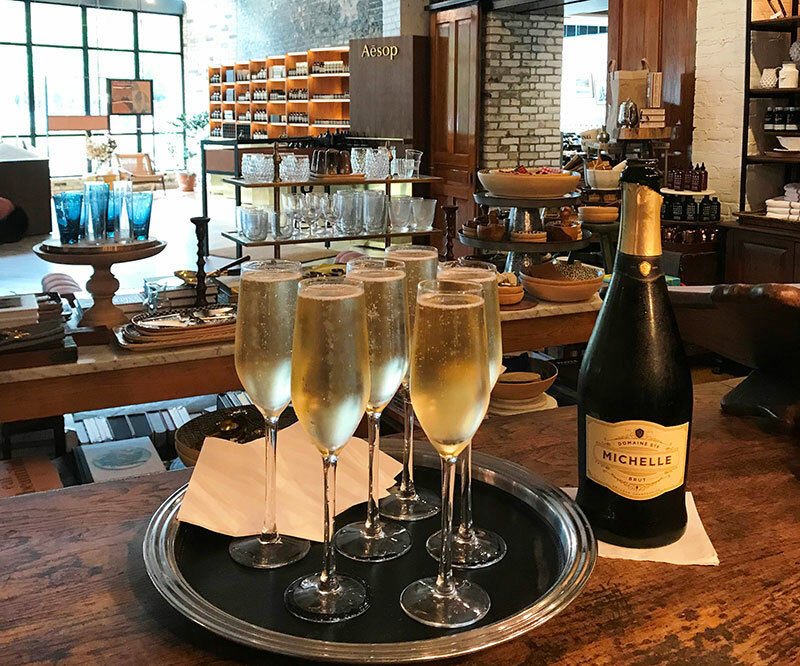 Join us for this “one of a kind food tour experience” featuring great tastings and drinks, while enjoying Tampa’s historic architecture and scenic waterfront.